Customer Relationship: why it matters? Did you ever welcome friends or family with a gun? Even opening your door to unknowns, without being polite and in a cool behavior? Sometimes your customers could have feeling about being less loyal, rude or stressed. Why? Considering the famous quote with “don’t do others what you don’t want others do to you“, let’s spend a while to build new relation…talking about “critical importance of customer service” is not only “talking”. It’s listening too. And supply all customers want, no more or less, to make them satisfied enough to talk about your brand as a bright model. Yes, that maters and that’s a question of brand awareness. A brand vision, to keep customers, make them satisfied and make them talking about you to non-customers, that will make become customers. And no, that don’t need any gun or unfriendly method. Study from GBC consulting on “global consumer survey” from 2006/2007, put on highlights some facts, only blinds can’t see. Over more than 4.300 companies answered that customer service is the biggest influencer on customer loyalty, and more than 74% of them would do business with a company based on a great contact center experience. Study shown that telephone is still the most dominant channel used by customers to contact a company, despite Google, search and e-mail fever. According to F. Reichheld’s book “the Loyalty Effect”, a new customer costs five times more to acquire than nurture existing ones. You understand now how strategic becomes customer attention and relation management. If you’re searching for a job, you already heard about “first impression effect”. Don’t waste time but in the first contact. Because people have no time to waste, and time eats time, you have to be precise, accurate and striking the essential in a few minutes. The “front door” concept is a reality: welcoming customers is a serious matter, before even thinking about their request. In the field of companies business, welcoming is often dedicated to a contact center (from few agents to hundred), and becomes obviously the “front door” to the corporate brand. And still according to previous survey, customers have often to fight with IVR fronts, which offer some surprises: waiting and hold times of call, IVR structure “product oriented” vs “customer oriented”, non functional options, repeat informations too many times…Bad experiences for bad effects: fed up, angry comments. Negative energy. 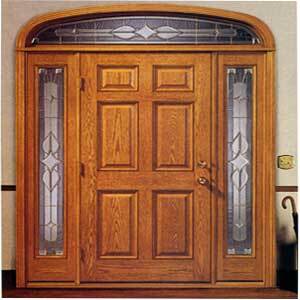 If “first impression” counts, then build your “front door” as a professional. Whatever the solution you choose, be “your first customer to come”, act as if you would like information, or buy, and take time to think WHY you could not buy or make business with you! Ready to get in for new shape of relation? Ready to boost business in improving your brand footprint? Be natural, be true, use natural speech for natural and enhanced relationship. I am a masters student and one of the projects I was working on this term is integrating speech into a CRM. So everything from being able to call customers and use tts to say something to logging all audio conversations and transcribing them so that they can track more data automatically from customer interactions. There is an open source project that is probably more relevant to what you were doing to what I am doing(olympus) that is an IVR that handles natural conversation as opposed to just typical grammar based systems. I am interested in the results of your project. Is it possible to have a look at them? Thanks a lot! I really like the “front door” metaphor!